Automobili Lamborghini Sydney Launches With Huracán Force | | A Wheel Thing. Since being officially unveiled in February, there’s already over a dozen orders for the sleek missile, worth near half a million dollars in New South Wales alone, but don’t think it’s a matter of simply rolling in and plonking down a handful of bills. Lamborghini has a stringent order process in place for the Huracán, with a (currently) planned production run of less than 3000 and will, effectively, build to order, rather than having a pool of vehicles. Dealer principal, Dwyer Ogle, has over twenty years experience in premium brands, starting his career with the legendary British brand, Aston Martin. Dwyer’s enthusiasm for luxury motoring was evident, discussing the history of Lamborghini as easily as he shared facts and figures on the Huracán. Dwyer was also proud to be part of a launch drive in Italy, with a video showing him in the passenger seat of the 449kW rocket, being driven by a Lamborghini test driver at the Ascari circuit, clearly delighting in the experience. 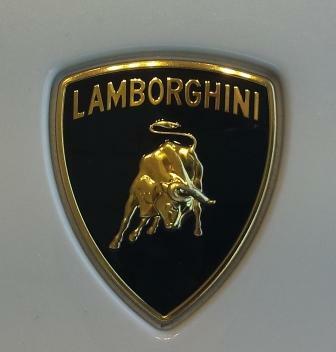 The car itself, says Dwyer, is the most user friendly Lamborghini he has experienced. He likens driving the Diablo, first released in 1990, as a full on gym workout, with a heavy clutch and steering, whereas the lithe 1422kg Huracán has been worked over and smoothed over and massaged by parent company, Audi, to be as easy to use as the proverbial grandmother’s weekend shopping trolley. There’s hi-tech in the form of a magneto-rheological suspension system; a magnetic liquid fills the dampers and reacts to suspension changes in milliseconds, providing lightning sharp handling. The V10 engine is connected to a dual clutch, seven speed, gearbox and transfers power and torque to all four corners via the all wheel drive system. Dwyer grins as he explains that the naturally aspirated 5.2L engine’s torque, all 560 Nm of it, delivers an on tap, linear surge of acceleration and shakes his head in disbelief as he mentioned the car’s ability to remain flat and composed as it changes gear, under acceleration, on the banked curves at Ascari. Dwyer’s backed up by Italian born Yvonne Buchreiter, Lamborghini Sydneybrand manager; she smiles as she says “I’m Italian, where else would I work but for a great Italian car company?”. There’s warmth in both smile and handshake as she welcomes me in, excusing herself to look after a prior appointment, another Huracán interested party already there. She and Dwyer manage to make everyone feel part of the family within minutes of arriving and, as Dwyer demonstrates the vibrancy of the engine and exhaust, pointing out the subtle change in note as the computer ensures operating parts are warm and safe, there’s smiles all around. After an hour of easy going, friendly and knowledgeable conversation, I take my leave, grateful for their time wondering what Lotto numbers I need to pick. Be the first to comment on "Automobili Lamborghini Sydney Launches With Huracán Force"